Captain Abel Ramirez is one of the best sportfishing captains in the Baja region and brings with him expert knowledge of the local waters and the species of fish that inhabit them. He has been fishing Cabo for over 15 years and speaks English well. 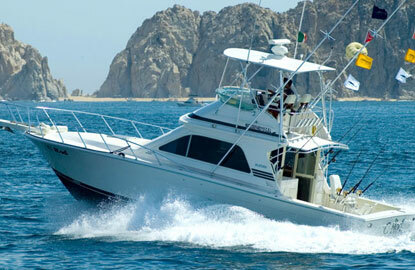 This boat is large enough to get a soft, dry ride but small and nimble enough to stay with fast-moving marlin or tuna. Large live well, tuna tubes, etc.